Among other games, football is characterized of violent body contacts. A player is therefore advised to put on the right protective gear to enjoy the game with no fear of being injured. Well, some people are interested in playing but they wonder what protective gear is used in football. 2.5 Jockstrap and the Protective Cup. 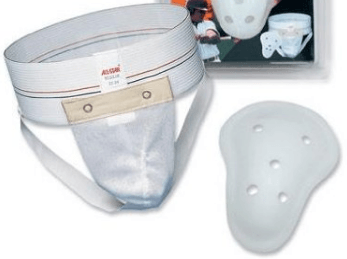 To ensure that you are fully armed for the game, as a football player, you should ensure that all your body parts are padded with protective gears. The padding plays a great role in reducing the impact of the force from violent body contacts with other players. We play to get entertained. Hence, getting out of the playing ground with pain is never your dream. What protective gear should be used remained to be a question to many people. Therefore, the following information provides you with every detail you have been looking for on right protective gear of football. These includes the use of the paddings, neck collars, girdles, sleeves and the helmets as well as the mouth guards among others. A full protective gear ensures that the player does not leave any part exposed to injury during the movements and body contacts. You can never be serious to go to a football pitch without the headgear. Besides, choosing the right one should be the key. 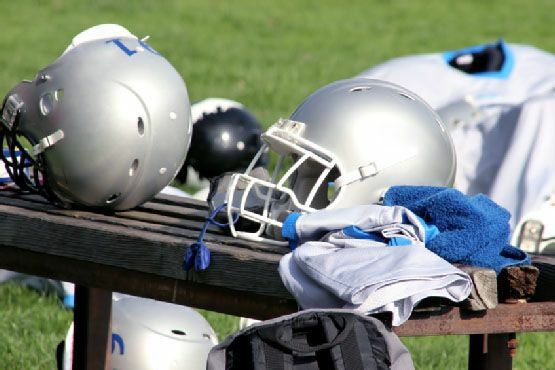 There are profound risks associated with head injuries during a football game. These have even resulted in death. Good helmets are designed to reduce concussion risks. Always go for the helmet that has light polycarbonate shell. Ensure that it has a chinstrap, facemask jaw pads, mouth guard and the air bladders. Padding should be done to ensure that forces from the side impacts are absorbed and distributed evenly. This is also referred to as the neck roll. The gear is very necessary for your safety in the football pitch as it ensures that your neck is in good condition at the end of the game. Everyone is advised to have the neck collar in place, though the coach will put more emphasize to the defensive lineman and the linebackers for whiplash protection. Neck twisting and breaking cases are very common among the players. The simple and precise answer to this ensures that the neck collar is in place while playing football always. Protection of your teeth, the jaw, and the chin is achieved by ensuring that you use the mouth guard while playing. Among other gears, it is mandatory for everyone to have this gear in position throughout the playing period. In relation to the mentioned protection of the mouth guard, the gear also ensures that you are safe from the head injuries. The paddings are used for covering both the shoulders, thighs, knees, hips, hands and forearms as well the ribs. They are light weighted and plasticized to ensure that the player is comfortable to make movements. The knees, hips, and the thighs are open to tough blows and collisions hence the need for padding. The paddings are of different sizes depending on the area to be covered. The thigh pads are largest to hinder the impact of the collisions. Cushion pads are also available for elbows to protect them from the blows. The shoulder pads are designed with different specifications depending on the position of the player. There are the flat and the cantilevered shoulder paddings. Well, the flat paddings are smaller as compared to the cantilevered. They are the used by the receivers and the quarterbacks. The flat paddings allow faster movement. You can buy the cantilevered if you play on the offensive or the defensive line and if you are a linebacker. These paddings are larger and heavier to give the player ability to receive the direct collisions with less impact. A jersey covers the shoulder pads and adjusts them for a perfect fit to the player. Jockstrap and the Protective Cup. These are a must have gears. Your groin area is a sensitive part hence you need to protect it from injuries while playing. Choose the most appropriate and a high-quality protective cup to ensure that your male part is well guarded. Moreover, use the right jockstrap to support the cup and ensure there is no flopping while playing. This essential gear protects the hands from the direct impact of the ball. They will always give you that courage of catching the ball no matter the speed it comes with. 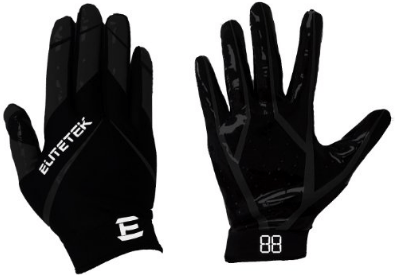 In addition, the gloves aid a lot during winter to maintain the hands at the right warmth for the game. Ensure that you look at the padding of the gloves and their ability to absorb shock before making up your mind to purchase. Hard hitting can cause much pain in the absence of the elbow sleeves. The right type of the elbow sleeves should have a shock absorbing form. 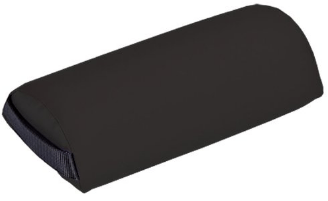 The sleeves should be durable and light weighted to serve you for a good period comfortably. They should also allow free movement of the arm and adequate blood flow. 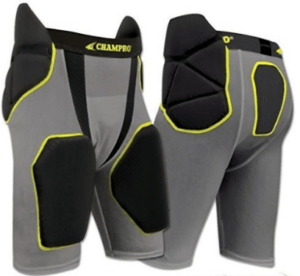 The right football girdles should offer you protection to the last whistle from the kick-offs. Always ensure that you go for the hard plate girdles. Check for their ability to stretch as well as their strength to protect your thighs. Football girdles with the dry mesh allow breathing hence your body is kept cool while playing. Properly padded girdles will enhance protection. Lightweight girdles help you to run at ease and play without feeling weary. Rib protector is important if the player wants to survive the impact from his opponent or the ball. Having your rib protector on when you are in the field ensures that your ribs are protected. Therefore, enabling you to enjoy the game until the end of the match. 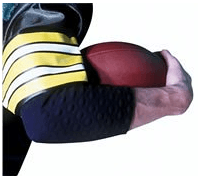 Shocks from playing football are absorbed by rib protector, thereby reducing the amount of impact on the rib. Winning is determined by the skills you have and by what protective gear you used while playing football. Going for the right gears and using them appropriately is your key to being a football superstar. Previous Post Injuries in Football and How to Prevent Them Next Post Do Baseball Hats Cause Hair Loss?